The engineering team at RoadScience, a Division of ArrMaz in Tulsa, Oklahoma, launched NovaGrip™ in July. The additive is designed to eliminate smoke and fume that are uncomfortable for plant and paving crew personnel, as well as citizens. For more information, contact Ivann Harnish at (918) 960-3851. By the time this edition of AsphaltPro hits your mailbox, CONEXPO-CON/AGG will be over four months gone. Its effects linger in a good way for asphalt professionals. Much like each turn of the century historically roused entrepreneurs to innovate, a big expo like the one we saw in Vegas stimulates research and development departments to design new technology that improves the way you do business. This month, we look specifically at the inventions and services that joined the marketplace at—and after—CONEXPO-CON/AGG for the production side of the asphalt industry. Plants, terminals, labs and quarries have the solemn responsibility of providing the elements that make up the mixes with which we pave. Let’s take a look at what OEMs and service providers have most recently developed to make your job easier and to enhance your production bottom line. Asphalt Drum Mixers offers heavy-duty drag conveyors with material transport ratings up to 500 TPH. 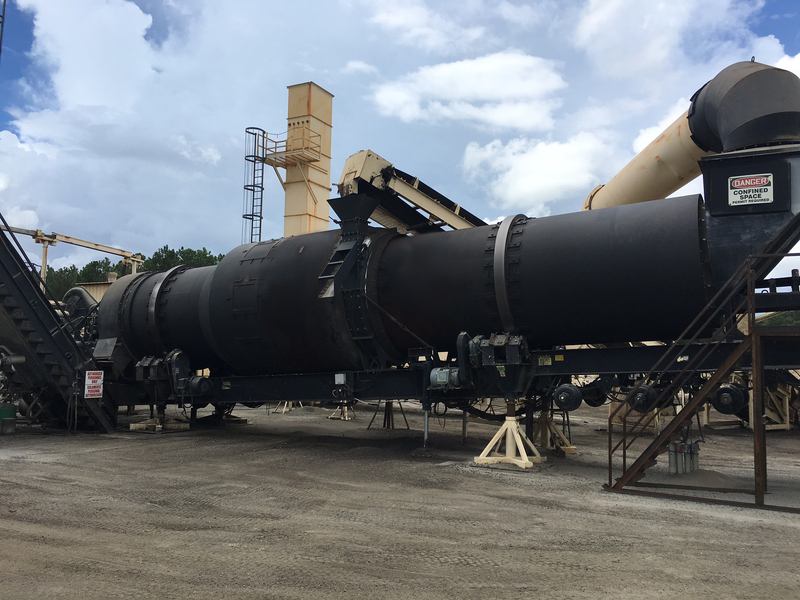 Asphalt Drum Mixers Inc., of Huntertown, Indiana, offers a full line of drag slat conveyors for all of its asphalt plants and for pairing with plants from other OEMs. The heavy-duty conveyors are designed to provide years of service handling material transport ratings as high as 500 TPH. ADM designs its conveyors for maximum durability by using reinforced weld-on slats and chrome carbide wear liners on the slat floor and along the sidewalls. ADM designed the conveyors with a segmented-sprockets design, which allows for easy access to the stairways, handrails and maintenance platforms. Full-length hinged steel casing covers come standard on the drag slat conveyors and optional blue-smoke recovery systems mount on the conveyor to reduce emissions from silo tops. As with its plant designs, ADM customizes its drag slat conveyors to meet individual plant needs by offering either formed-steel or all-welded bridge beam construction. Customers also choose between a single- or double-hardened steel roller chain. 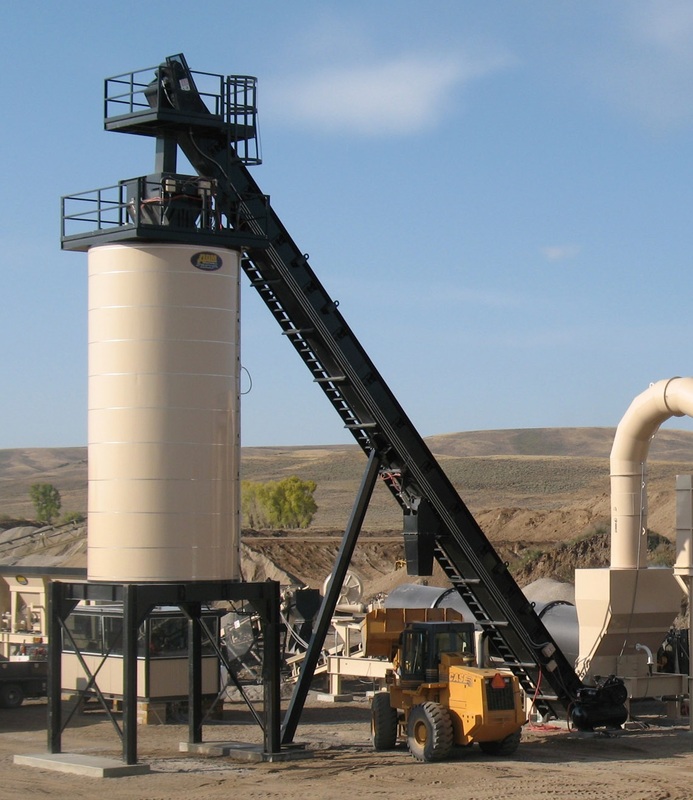 Beyond the conveyors, ADM offers a wide range of components to further customize each asphalt plant. For more information, contact Mike Devine at (260) 637-5729 or mgdevine@admasphaltplants.com. The “2-in-1” HRT plant from Ammann offers two warm recycling systems to choose from—one designed to incorporate up to 60 percent RAP and one designed to incorporate up to 100 percent. Photo courtesy www.fotopizza.com. The Ammann ABP 320 HRT (High Recycling Technology) asphalt plant from Ammann of Langenthal, Switzerland, is designed for asphalt manufacturers who need to incorporate large proportions of recycled asphalt pavement (RAP). The “2-in-1” HRT plant features both a warm and cold recycling system that can be used simultaneously, and was introduced to the North American market in January 2017. There are two warm recycling systems to choose from. One is the conventional concurrent flow dryer for RAP additions of up to 60 percent. The second is Ammann’s latest development in warm recycling, the RAH100, from which 100 percent recycled materials can be used, according to the manufacturer. The plants also can be equipped with optional RAP feed bins, which enable the separation of different RAP sizes to the drum or mixer, depending on the mix design. The plant has a production capacity of 353 U.S. tons per hour. It can use foamed bitumen, pigments and other additives. The Ammann ABP 320 HRT is equipped with the as1 Control System, which includes tools such as energy consumption monitoring and a fully automated loadout module. The most striking visual difference between the HRT and traditional plants is the vertical stacking of the RAP-bearing components. This configuration is designed to reduce wear and sticking, and shortens the travel distance of hot RAP material. The Ammann ABP 320 HRT is designed to produce hot mixes, low-temperature asphalt and optionally cold asphalt. The standard design features a real-time energy consumption display, a fume suction system throughout the plant and full cladding. The plant features generous catwalks and platforms for easy access to key maintenance points. HRT is an acronym for “High Recycling Technology,” which reflects the latest environmental developments in resource preservation. The approach is based on producing top-quality asphalt mix with a high content of reclaimed asphalt. Fresh aggregate is added only as a supplement. For more information, contact Jenelle Strawbridge at (704) 840-8689. This roadway was sealed with GSB-88® from Asphalt Systems Inc.
GSB-88® is a gilsonite-based emulsified asphalt seal coat from Asphalt Systems Inc® (ASI), Salt Lake City, Utah. The product has demonstrated in numerous studies to not only add years of life to asphalt pavement, but also to provide up to 400 percent return on investment, according to the manufacturer. As an integral component of GSB-88, gilsonite is a unique, naturally occurring, resinous asphalt ore found in Utah that does not have to undergo an oil refining process. GSB-88 comprises a mix of gilsonite, specially selected plasticizers and oils that penetrate and reintroduce essential binders into the pavement matrix. GSB-88 is designed to mitigate the impacts of surface oxidation and moisture damage on asphalt pavements, halting deterioration and sealing the surface to help repel water. GSB-88 applies quickly and easily with standard bituminous distributors, according to the manufacturer. Spread rate is dependent upon the existing pavement’s texture, porosity and age. Application generally cures in two to eight hours. Applications for GSB-88 include pavements ranging from high-speed state highways to parking lots, city streets and county roads. It has also been applied to more than 500 military and civil airport runways in North America. For more information, contact sales at (801) 972-2757 or info@asphaltsystemsinc.com. The GT205 Hybrid Multi-Frequency Screen from Astec Mobile Screens was released in March. Astec Inc. of Chattanooga, Tennessee, introduced its Silobot™ Inspection Service at CONEXPO-CON/AGG 2017 in March. At the heart of the service is the Silobot, a hi-tech tool that the Astec Inc. Parts Department will use to do thorough visual inspection and metal thickness testing inside hot mix storage silos. The remote control capabilities of the Silobot inspection device keep workers out of the confined space of the silos and out of harm’s way. The inspection record provided to the customer will include a metal thickness map, a video and photos of the inside of each silo. Engineering evaluations and recommendations, based on the inspection findings, will be provided by Astec engineers. Asphalt mixing plant operators schedule the inspection service through an Astec sales manager or Astec Parts. Astec Mobile Screens of Sterling, Illinois, released the latest patent-pending hybrid technology in its GT205 Hybrid Multi-Frequency Screen during CONEXPO-CON/AGG 2017. The GT205 hybrid multi-frequency screen has the ability to run on either line power or diesel power when necessary. The GT205 features a high performance 5×20 screen designed for aggregate, recycling, construction and industrial markets. With its multi-frequency technology, end users can expect up to 50 percent higher screening capacity on the bottom deck, according to the manufacturer. The GT205 is designed for on-site flexibility and its simple controls create an easy-to-operate machine, resulting in increased uptime. “With the addition of the hybrid technology to the GT205, we are able to offer end users and dealers the latest solutions for their operations in aggregate, recycling, construction and industrial markets,” said Stephen Whyte, product manager for KPI-JCI and Astec Mobile Screens. For more information, contact Stephen Whyte at (605) 668-2631. 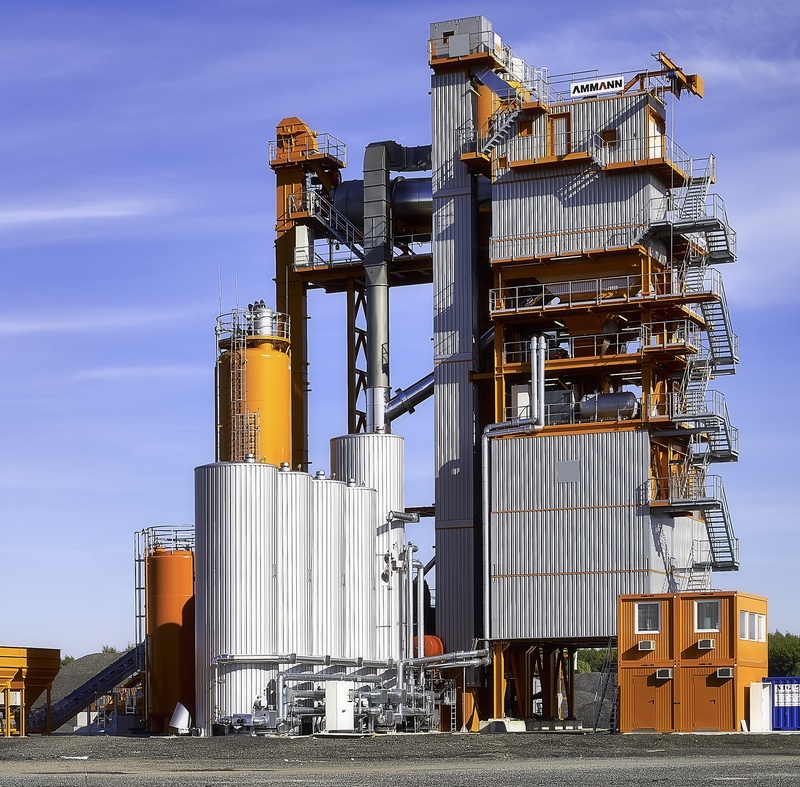 Collaborative Aggregates LLC, which operates from the Warner Babcock Institute for Green Chemistry office and labs in Wilmington, Massachusetts, manufactures and markets Delta S asphalt rejuvenator, which is a plant-based, liquid chemistry. Available in 275-gallon totes and bulk, Delta S is used to return recycled asphalt binder from RAP/RAS close to the original binder properties. Delta S is not regulated for transport or storage. 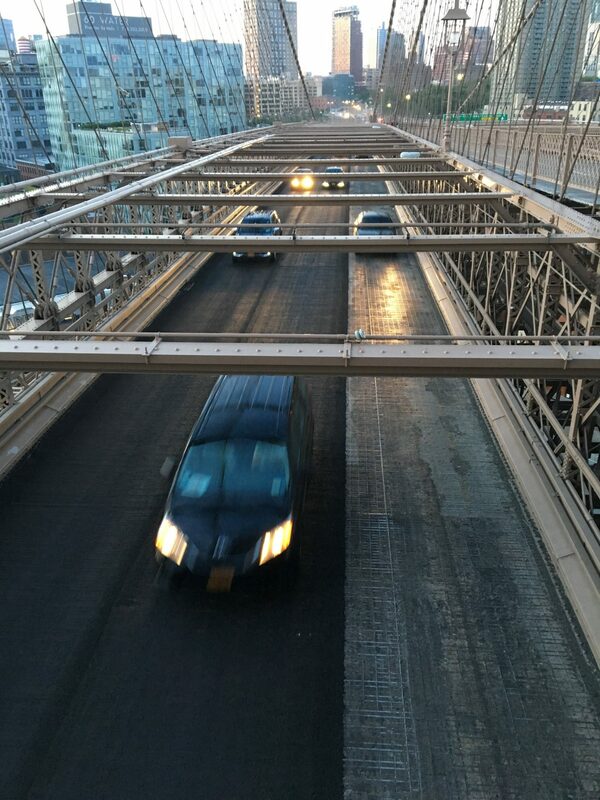 Delta S is also used as a warm-mix asphalt chemistry and moisture anti-strip additive. For more information, contact Dr. Jay Bianchini at (978) 229-5403 or visit www.collaborativeaggregates.com. The Model DLC is a flush-mount, pressure-activated, diaphragm-style, level control and plugged chute detector from Conveyor Components Company of Croswell, Michigan. The Model DLC has two dry (unpowered) 15-amp microswitches that activate when material within a bin or chute presses upon the diaphragm face. The company suggests the unit be mounted on the vertical side wall of the bin, hopper or chute. The unit may also be mounted on the sloped portion of the chute as long as material flows freely or does not bridge. The Model DLC is designed for use as a high level switch, a low level switch, a plugged chute detector, or as a material presence control on a conveyor belt and a high level indicator above a crusher box. For more information, contact sales at (800) 233-3233 or info@conveyorcomponents.com. FORTA-FI was first developed in 1982, but has been tested and proved a success many times over since then, including its recent pilot project in O’Hara Township, Pennsylvania. 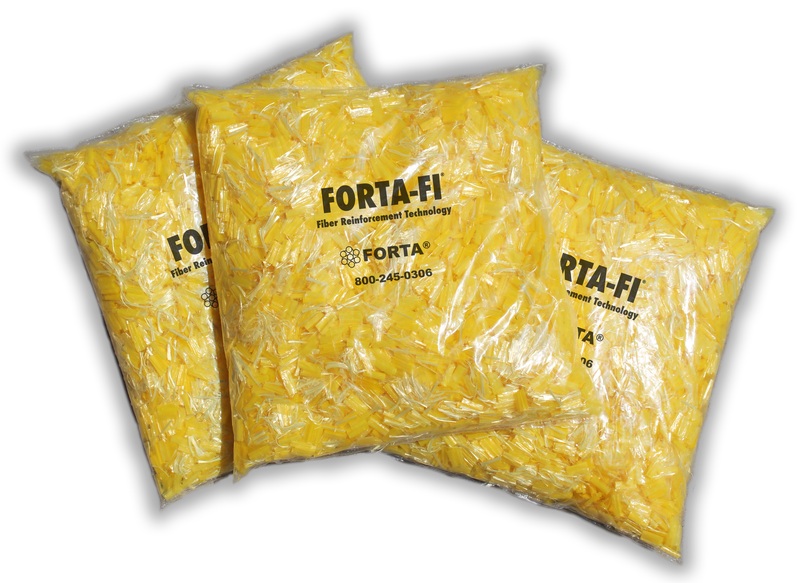 FORTA-FI® is a high tensile strength synthetic fiber blend specifically formulated by FORTA Corporation of Grove City, Pennsylvania, to reinforce and enhance asphalt mixes in both new construction and repair projects. FORTA-FI is known for its ability to add strength and durability to both high and low asphalt mix temperatures without requiring additional changes to the mix design, according to the manufacturer. FORTA-FI has been involved in a considerable amount of research and testing since its development in 1982. For example, the C Line Integral Crack Propagation Test was done using a FORTA-FI sample while comparing the results to a control sample without FORTA-FI. The test demonstrated that FORTA-FI-reinforced asphalt controls cracking much better than asphalt reinforced without FORTA-FI. FORTA-FI can be found on the NCAT test track, the German Autobahn, Boeing factory roadways and parking lots, high traffic airport runways, residential and commercial driveways, local roads, state routes, highways, bridges, and countless other projects located around the world. One of the best-known FORTA-FI® projects, visually highlighting the benefits of the fiber, is a roadway pilot project in O’Hara Township, Pennsylvania. Glen David Drive was a heavily cracked residential street leading to the swim club; its problems were in need of remediation. 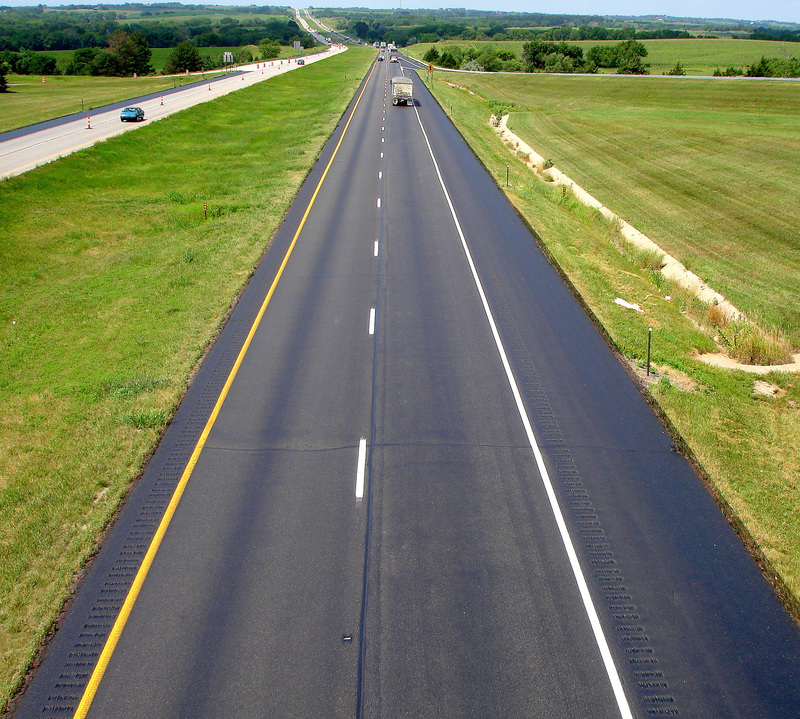 To accurately test the success of FORTA-FI, this pilot project split the roadway down the middle, using FORTA-FI- reinforced asphalt on one side and traditional asphalt on the other side as a control. The one side has a 3-inch leveling course and 1-1/2-inch wearing course without fiber, while the other side contains FORTA-FI in both layers. After 5 years, the asphalt with fiber shows impressive results regarding overall crack control compared to the section without fiber. For more information, contact Garrett Lovett at (724) 967-1528. The Gencor TRIFECTA™ is a compact, portable drum mix plant launched in 2016. The Gencor TRIFECTA™ is a fully integrated counterflow drum plant designed by Gencor Industries Inc., Orlando, Florida, to meet the demands of fast site setup and operations. The Trifecta drum mixer is a proven counterflow design, which provides controlled mixing behind the burner flame for efficient drying of wet aggregates and no degradation of the asphalt mix. The Trifecta’s patent-pending design connects directly to the baghouse without any ductwork. The Trifecta Aggregate unit is a fully integrated feed, conveying, weighing and filtration system all in one transportable load. This “patent-pending” design comprises four large feed hoppers, each with its own variable speed feeder and scalping screen. A totalizing weigh scale and aggregate conveyor accurately weighs the materials before entering the dryer. The unit also includes the patented Ultraflo baghouse system, which connects directly to the dryer without any ductwork. All dust is conveyed via a pneumatic conveying system to the drum mixer making the Trifecta a compact and transportable drum mix plant. For more information, contact Dennis Hunt at (407) 290-6000 or dhunt@gencor.com. GreenMantra™ Technologies, based in Brantford, Canada, has introduced new Ceranovus™ polypropylene waxes with unique and customizable technical properties. The new line of synthetic waxes are produced from post-industrial plastic waste and post-consumer recycled plastics such as yogurt containers and bottle caps, and can be tailored to specific end-use applications. For example, in asphalt roofing, Ceranovus waxes are designed to be used to stabilize or increase the softening point of commercial, residential or peel-and-stick roofing products while decreasing penetration in desired formulations. In addition, the company states they can improve compound stability and impact resistance. Ceranovus waxes are made with 100 percent recycled materials, providing a sustainable raw material that helps drive the circular economy of plastic. They also have received third-party certification for recycled content. This provides customers with transparent documentation and added support in qualifying for environmental product standards and green building requirements such as U.S. Green Building Council’s LEED certification. For more information, contact Freeman Communications at (513) 733-1800 or visit www.greenmantra.ca. The Advanced Tank Farm Management System from Hotmix Parts and Service® is designed to enhance safety by preventing overfills as well as eliminating contact with hot AC or piping during tank switches. Hotmix Parts and Service® of Louisville, Kentucky, introduced the Advanced Tank Farm Management System, a completely automated multiple tank changing solution for correct valve positioning and overflow avoidance when changing or filling AC tanks, May 2017. The system is comprised of two major components. 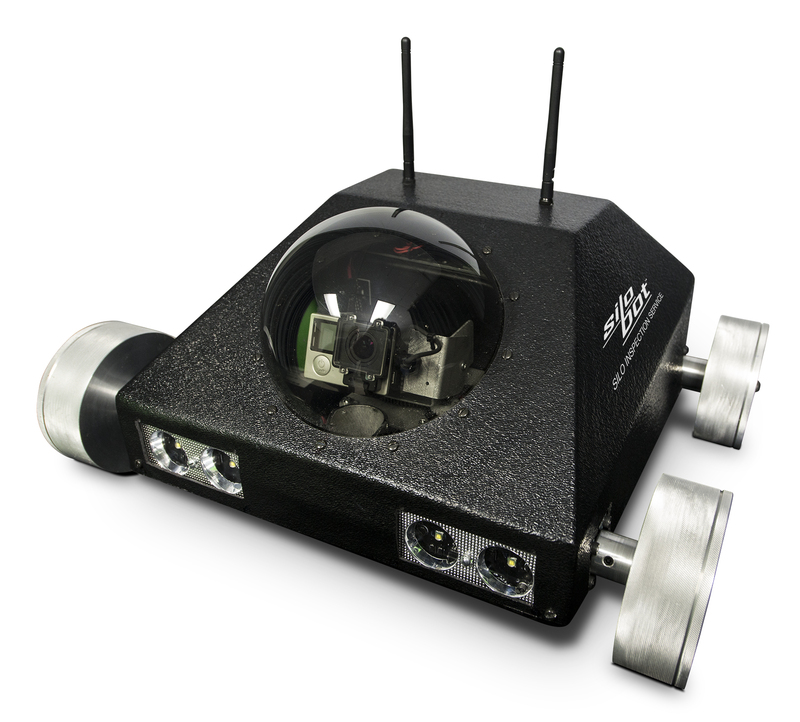 The Accu-Radar monitors each tank level. This alerts the operator if there is a close-to-overfilling condition. The Multiple Actuator Valves are designed for seamless tank switching on the fly, to eliminate human error and contamination of AC tanks. The operator quickly switches grades of AC with the push of a button and the assurance that valve positioning is correct with the illuminated control panel, which can be placed in the control house along with other plant controls. 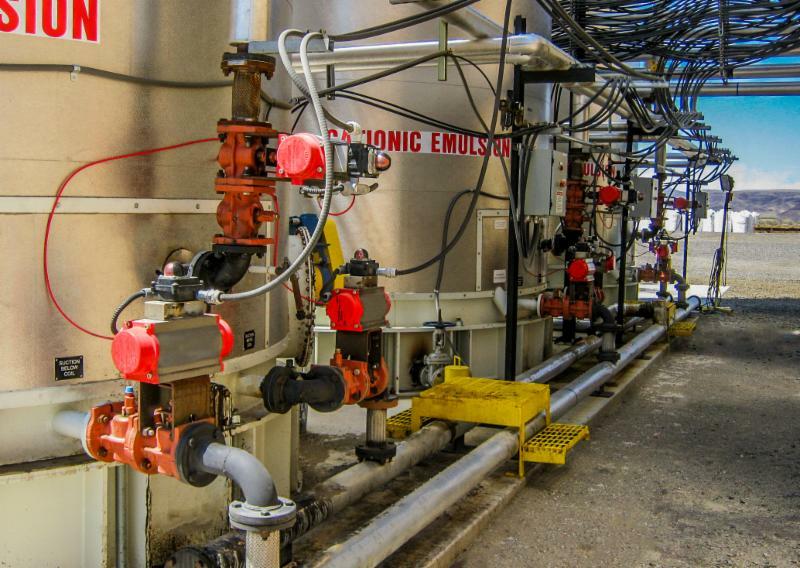 The Advanced Tank Farm Management System handles up to 10 tanks, and allows the operator to make sure that the line is clear before pumping a different grade of AC. For more information, contact Tom Snell at (800) 826-0223. The Galileo and Galileo Research gyratory compactors from IPC Global were introduced in May. IPC Global, Victoria, Australia, announces the release of new, fully electromechanical Galileo and Galileo Research gyratory compactors, which require no air compressors or hydraulic pumps. The compactors incorporate innovations such as IPC Global’s Electromechanical Servoactuation (EmS) mechanism, allowing user defined closed-loop control of rate of gyration and axial load, and Controls Group’s Orbital proprietary gyration & mould rotation system (patent pending). 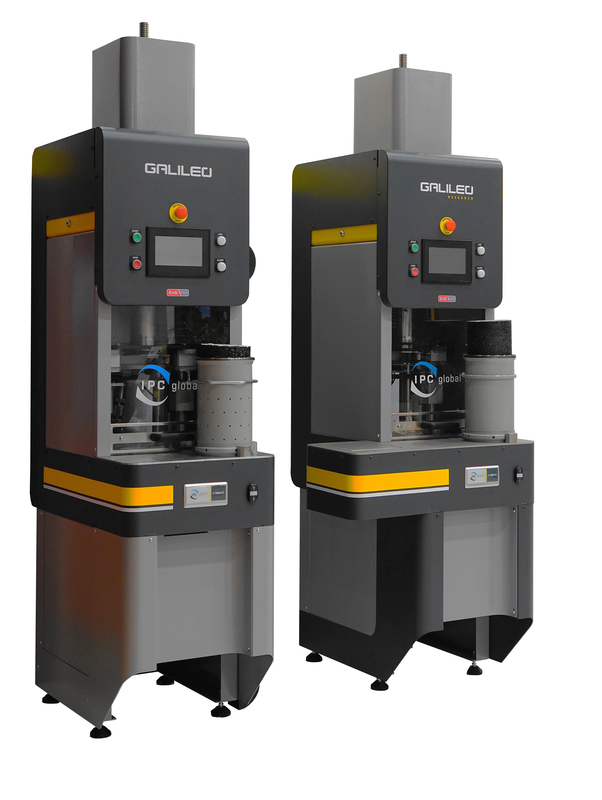 Designed with the user’s needs in mind, both Galileo and Galileo Research use closed-loop control to compact cylindrical specimens of bituminous mixes by combining a rotary shearing action with a vertical static force to give highly accurate and repeatable test results, according to the manufacturer, who states the stiffness and angle stability values fall comfortably within the limits defined in EN 12697-31, AASHTO T312 and ASTM D6925 D7115 standards. Among the features for the Galileo Research version are its closed loop automatic angle adjustment; ability to obtain a zero-angle at the end of the test; and real-time direct shear and torque resistance measurement giving automatic calculation of the compaction energy. For more information, contact ipcglobalsales@controls-group.com. The Kenco Serrated TCI cutting edge is designed to offer the best of both worlds of good penetration with good wear life. Would you like your asphalt plant front end loader to have better penetration into the RAP pile? If so, the new serrated cutting edge from Kenco Engineering Inc., Roseville, California, may be the answer. Designed to give some of the benefits of teeth along with the benefits of a straight cutting edge, the Kenco Serrated Tungsten Carbide Impregnated (TCI) cutting edge is designed to penetrate old and hardened RAP piles more easily than a standard flat blade without leaving trenches in the yard floor the way teeth will. Though trading some overall wear life for better penetration, the Kenco serrated design still gets the benefit of our unique Tungsten Carbide Impregnation process. For more information, contact Paul McDowell at (800) 363-9859. Larson Electronics of Kemp, Texas, has launched a set of portable power distribution units (PDUs) to help streamline the setting up and tearing down of equipment used in industrial work sites. Larson Electronics custom builds each PDU to meet the customer’s needs and specs. The line of PDUs adhere to UL 1640 standards, and each features different ratings for deployment in various locations. The company offers explosion proof PDUs for hazardous locations as well as outdoor-rated units that come with NEMA enclosures for protection from unpredictable weather and corrosive substances. Each unit ranges from 7.5 KVA to 150 KVA, with multiple outlet configurations. Support for each of these units is provided by a sturdy, wheeled cart for transportation around the job site. For more information, contact sales at (800) 297-4352. Libra Systems has updated the Web Services product, opening the path to critical data sharing from anywhere. Libra Systems Corporation, Harleysville, Pennsylvania, initially launched its Web Services in 2016, but released a new version in March 2017. 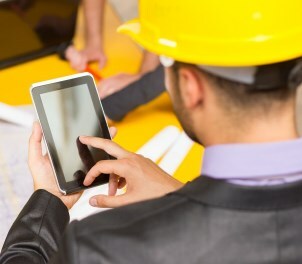 The product is a new interface available for your Libra systems, opening the path to critical data sharing from anywhere.Configurable alerts automatically send text or email messages to meet the needs of salesmen, job foreman, plant superintendents, general management and end users.Web reports provide authorized users mobile access to company-wide or filtered data in real-time.Administrators may grant selected customers (end-user customers) the right to subscribe to alerts or access reports. Web Services automatically, and securely, limits their information to only that which pertains to their particular jobs.Coupled with the Libra Quoting Module, salesmen can generate or track quotes while away from the office. For more information, contact Ken Cardy at (215) 256-1700. Pine Test Equipment Inc., Grove City, Pennsylvania, has introduced its Bond Strength Tester, a universal test fixture that measures the amount of force needed to shear the tack bonded adhesion between layers of asphalt. The Bond Strength Tester is designed to be compatible with all Marshall loading frames. It features a durable frame with fixed and movable shearing tubes that provide a horizontal shear plane adjustment gap on the fixed shearing tube. The fixture is available with or without the assembly, and can apply a normal force ranging from 0 to 150 lbf to the specimen. The deflection is measured by the digital indicator. Quick release knobs allow for swift insertion of a specimen into either end of the fixture. The standard shear tube diameter is 6 inches. If smaller specimens are required, optional reducer sleeves and end plates allow the fixture to accommodate 4-inch, 3-inch and 2-inch specimen sizes. For more information, contact David Savage at (724) 458-6393 or dsavage@pineinst.com. Process Heating Company (PHCo) of Seattle offers the Lo-Density® Hot Oil Circulating Heater systems to provide automatically controlled, even-temperature heat-transfer fluid. With the PHCo indirect heating systems, heat from electric energy is transferred to the oil, which then carries it to the area or process where it is needed. Using PHCo’s unique Lo-Density patented Coil-Lock-design heating elements, which reside within a drywell, the units dissipate controlled heat as low as eight watts per square inch on the heater’s sheath, eliminating coking or carbonization of the transfer oil. Because the drywell-style elements are accessible from outside of the system, they also may be serviced without draining the heater. Each Hot Oil Circulating Heater is a complete system that includes a properly sized, vented expansion tank with a sight glass and a low-level shut-off switch. The system also includes an exchanger built to ASME standards, covered with high density insulation and an aluminum jacket. There is a motor-driven, special high-temperature centrifugal pump for circulating heat transfer oil, and a UL-listed industrial control panel in a weatherproof enclosure, with standards that include a programmable time clock for early morning startup, main indicating controls, and over-temperature controls. Also contained in the package are additional features, including a strainer for easy cleaning, shut-off valves for the system and the fill lines, and strategically located air purge valves. PHCo Hot Oil Circulating Heater systems are completely pre-wired, pre-plumbed and ready for installation. One PHCo customer, F&R Asphalt of Easley, South Carolina, replaced its diesel-fired hot oil with a PHCO electric hot oil heater in 2009. The diesel system had burned 800 gallons of fuel per week, and F&R Asphalt was paying $4 per gallon, resulting in weekly fuel costs of $3,200 or an annual cost of $166,400. After switching to the PHCo electric hot oil heater, the customer was able to reduce heating costs to $210.10 daily, for an annual cost of $76,686 and an annual savings of $89,714. Given today’s energy costs, with diesel fuel at approximately $2.60 per gallon and industrial electricity costs at slightly less than they were eight years ago, the data is still relevant. An additional benefit is that PHCo electric heaters typically last for more than 30 years, providing 100 percent efficient heat over their lifetimes, according to the manufacturer. For more information, contact PHCo at (866) 682-1582. Using the new RC-15T reclaimer from Ray-Tech Infrared reduces the number of trips back to the asphalt plant for utility and commercial contractors. Ray-Tech Infrared of Charlestown, New Hampshire, has introduced its new RC-15T to the asphalt industry. 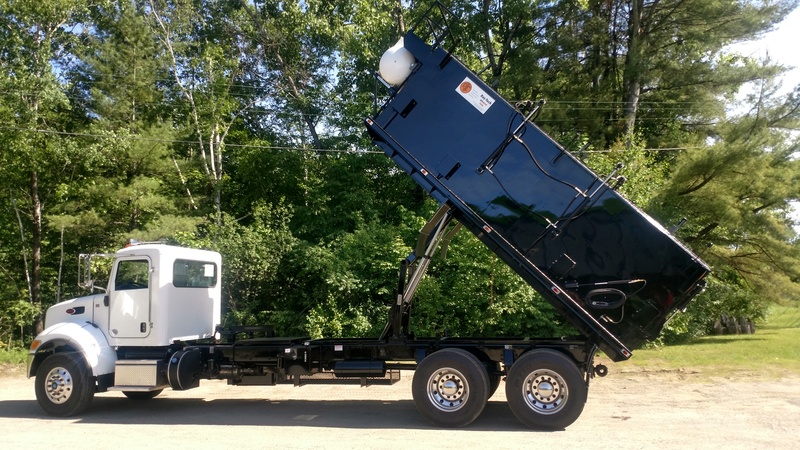 The RC-15T is a truck-mounted reclaimer that delivers 15 tons of hot-mix asphalt to the job site, keeps it hot for up to 48 hours, and provides long range capability and large volume capacity for utility projects, according to the manufacturer. It is also designed to reclaim cold material into hot, workable asphalt. RC-15T offers three times the capacity of traditional hot boxes. “We continually adapt to everchanging customer needs by expanding business through innovation and technical knowledge,” Ray-Tech Infrared President Wes Van Velsor said. The RC-15T reduces the need for multiple trips to the asphalt plant. Customers are already acknowledging the benefit of deploying the RC-15T. Feeney Brothers, a premier Northeast utility contractor, recently committed to adding the RC-15T as part of its fleet of underground utility solutions equipment. Their RC-15T was a custom build, and Feeney Brothers worked closely with Ray-Tech management to incorporate the options essential to their company’s needs. Companies such as Feeney Brothers can increase their geographic reach and provide superior performance in the work their crews perform. The RC-15T is designed around the specific truck chassis chosen and supplied by the contractor. The build completion time varies, but is usually seven to eight weeks, according to the manufacturer. For more information, contact Wesley Van Velsor at (603) 826-3030 ext. 202. Caption for image saved as PG RayTech ReclaimerUsing the new RC-15T reclaimer from Ray-Tech Infrared reduces the number of trips back to the asphalt plant for utility and commercial contractors. The RAP Eater drum from Stansteel Asphalt plant Products is available for replacement of straight drums, flared end drums, parallel flow drums, and as a complete portable retrofit to replace older counterflow drum mixers. Stansteel Asphalt Plant Products, Louisville, Kentucky, launched the RAP Eater® Retrofit Drum Mixer in late 2015 with multiple successful operations in 2016. The counterflow drum mix technology has been field proven to recycle up to 40 percent RAP in a consistent and quality manner, according to the manufacturer. It combines both the RAP and the superheated virgin material for an extremely long dwell time, combining them to get full heat transfer, improved release of RAP AC, and proper heating of the liquid AC and RAP prior to the addition of liquid asphalt, liquid AC conditioners or rejuvenators. Stansteel has continued to pioneer products that help contractors retain much of their existing plant or equipment while improving technology with advances such as the RAP Eater. The unit can be retrofitted on all types of different drum frames, according to the manufacturer. For more information, contact Rick Rees at (502) 245-1977. Volvo Construction Equipment North America, Shippensburg, Pennsylvania, has made Volvo Load Assist available on new Volvo wheel loaders ranging from L110H to L250H. Volvo Load Assist is designed to provide both real-time intelligence to the operator and documentation of work orders for the owner and his customers. 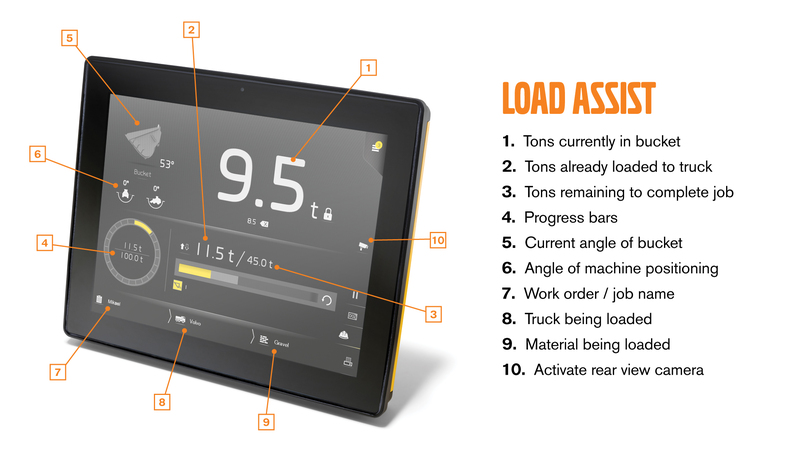 Managed through Volvo Co-Pilot, the award-winning in-cab interface, Load Assist eliminates the guesswork associated with loading accurate tonnage, reducing occurrences of reweighing and reloading, as well as providing opportunity for the owner to expedite paperwork and improve operator training. The operator uses the 10-inch, high-resolution touchscreen Co-Pilot interface to set up projects by selecting customer name, work order number, target tonnage and material type. These settings can be stored for future work orders, and the number of customer presets is virtually limitless. Once the work order parameters are set, the Co-Pilot screen allows the operator to track progress of the job as it’s underway. Because Co-Pilot and Load Assist are integrated into the wheel loader’s electrical architecture, the system also feeds productivity data to CareTrack®, Volvo’s telematics system. This data includes tons per gallon of fuel, gallons of fuel per ton, total number of cycles and percentage of cycles that were overloaded. This intelligence allows the owner to identify potential training opportunities for operators, as well as compare operating costs to product by machine and by operator. For more information, contact Dave Foster at (717) 530-6169, dave.foster@volvo.com. The MegaStar 25 from Honeywell Thermal Solutions-Hauck Asphalt Products is capable of firing oil, reclaimed oil, natural gas, vaporous propane and liquid propane. The Hauck MegaStar line of burners previously had sizes from 50 Million to 150 Million Btu/hr. This new size, the Hauck MegaStar 25 from Honeywell Thermal Solutions—Hauck Asphalt Products of Rockford, Illinois, is rated at 25 Million Btu/hr and is suitable for smaller asphalt plants, rotary dryers, sand dryers and other aggregate drying systems. It operates with low pressure oil atomization, and employs a variable frequency drive (VFD) to efficiently modulate combustion air. When combined with the Hauck BCS 7000 control system, the MegaStar 25 has flexible air-to-fuel ratio controls allowing for effective, efficient and low emission performance, according to the manufacturer. 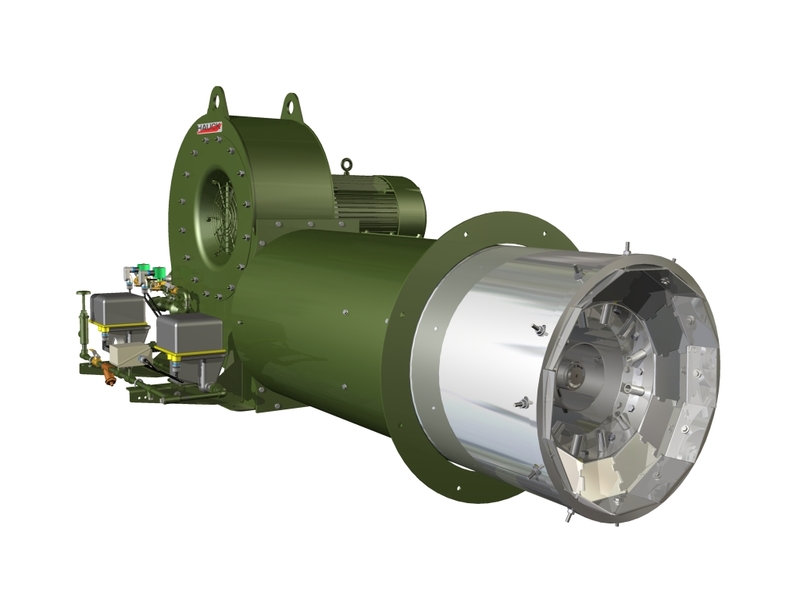 Hauck MegaStar burners are all equipped with industry-best flame shaping capability, which allows for precise matching of the flame shape to the dryer combustion zone. The Hauck MegaStar 25 burner is well suited for small plant upgrades from open-fired burners to 100 percent sealed-in burners. The jump from open-fired burners offers producers of HMA additional combustion efficiency and lower emissions. Also, a sealed-in combustion system equipped with VFD technology provides an additional level of electrical energy savings as well as reduced noise. The burner is available in standard lengths as well as extended lengths for various counterflow-style hot mix plants. For more information, contact Paul Lavenberg at (717) 644-5446.